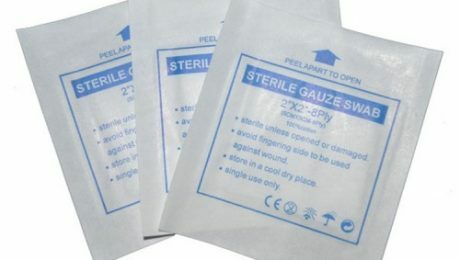 Almost everyone has experienced having a cut or wound where a simple gauze pad sterile is used as treatment to stop it from bleeding. But what happens when the bleeding continues? What do you do? A bleeding cut usually drives a person to panic, especially when that person doesn’t have any medical background. However, bleeding can usually be stopped simply by applying pressure on it with a clean cloth. Don’t try to put a bandage and cover it with micropore tape just yet. You have to remain calm in a situation like this so that your thinking won’t be clouded. Put more gauze or cloth on top and continue applying pressure. If possible, raise the body part with the wound above the level of the heart. This will help slow the bleeding down. Apply a tourniquet on the proximal part of the cut if bleeding is severe and does not stop with pressure. A hospital bed and a doctor is more equipped to handle severe bleeding which can be from an internal source. So it is necessary to call for help or go to the hospital. If you haven’t had a tetanus shot, the doctor will inject you with the proper shot using a Terumo syringe disposable. And if the cut is big, stitching it with a suture and dissecting set will be necessary. Wash your hands and clean the cut with soap and water. Rinse the soap thoroughly to prevent irritation. Apply an antibiotic cream and cover the wound with a bandage or plaster. Change the dressing daily to steer clear of infection. You have to watch out for signs of inflammation such as redness, pain and unusual discharge. Also, monitor for fever using an ear thermometer. This situation will be more easily handled if you have the appropriate supplies and first aid kit at home. It is better to be prepared and have these items on hand. Get the best medical provisions from the country’s leading supplier, Philippine Medical Supplies. Check out their website today and experience hassle-free transactions in getting your need supplies. The emergency room is probably one of the busiest areas in the hospital, brimming with patients and staff, emergency equipment like the trusted oxygen tank, supplies and medicines. No matter the time and day, the emergency room never lacks action, and sometimes, even drama. For those without medical background, the emergency room is a picture of patients with life-threatening cases from accidents and other situations, with Terumo syringe disposable, IV sets, blood and crying relatives just like how television scenes always portray. But it’s not really like this. Although there may be times when the emergency room is not as busy and the hospital bed not full, at most, it is still hectic. The staff, however, does their job as orderly as possible. There is no room for the confused and chaotic in this vital hospital area. So, what’s it really like in the ER? Upon entering the ER doors, you are rushed into the triage area where nurses take your vital signs with the digital BP Omron and ear thermometer, then determine the level of urgency of your case. There is a trauma room, where you are led to, if you suffered an injury that needs to be cleaned and treated with the use of a suturing and dissecting set and certain medicines. If you need further assessment and possible hospital admission, you are ushered to one of the beds lined on either side of the ER walls corresponding to the department of medicine you will be placed in. Appropriate treatment and evaluation will then follow. Medical equipment such as the nebulizer and pulse oximeter, supplies and medicines, as well as the ever reliable emergency cart is strategically placed where staff can easily reach it whenever they need to. No matter what case you bring to the emergency room, this process is usually followed. Commotion and disorder is a no-no. Sometimes you get to see drama unfold with family especially when the patient is in a life-threatening situation. But this does not enter the ER doors, and is left outside, unlike what you see on TV. As you can see, the emergency room is not as chaotic as the ones you imagined. But do try not to get yourself inside its walls. Stock up on medical supplies at home so you can better treat yourself in times of emergency. Get your supplies from the leading supplier in the country, Philippine Medical Supplies. Visit them to learn more and have your quality medical items delivered to your door. Where Do All The Unused Hospital Medical Supplies Such As The Terumo Syringe Disposable Go? The scarcity of medical supplies, such as the pretty common Terumo syringe disposable, in district hospitals and health centers all over the Philippines is not a new issue. And yet, in spite of this problem, we still see boxes of health materials and medical equipment in unopened boxes lying in some hospitals. What’s worse is that these supplies get thrown away even when they are still new. With medical fees soaring high, we can’t help but ask over and over why these everyday medical supplies like the ear thermometer go to waste. Medical surplus or the usable supplies, the digital BP Omron for example, that hospitals throw out is cited as the main reason why health care costs and health insurance are quite expensive in the United States, as well as in the Philippines. It has been reported by the National Academy of Medicine in the US that these wastes add up to a whopping $765 billion a year. There are instances when an item like the gauze pad sterile gets thrown away because it was placed in a patient’s room even if it was still sealed and never opened. If not for certain NGOs, these supplies will still continue going right down the drain. Several people, mostly hospital staffs, made an effort to stop this wasteful ways from happening again. Where Do These Extra Supplies Go Now? Non-profit organizations have stepped up to prevent medical supplies and equipment in perfect condition from going to the garbage. They have started shipping unused supplies to developing nations where health care is inadequate. The warehouses they have put up are now packed to the ceilings with sealed packages of health items and apparatus like the oxygen regulator that would just be sent to the landfills if not for the NGOs. Some of these warehouses are even worth $20 million with supplies that include the nebulizer, ultrasound machine and more. Fortunately, third world countries now have a solution to the insufficient medical supplies they are being treated with in their health centers. As recipients of the medical surplus from the US, they receive dissecting set, colostomy bag, manual ventilator and more. We can also help with this cause by sending some supplies to barangay health centers or by bringing our own supplies when we go the hospital. Be health conscious and have the best supplies from Philippine Medical Supplies on hand. Learn more about the nation’s top medical supplier and visit them today. Having a hospital bed in the school clinic may be a bit too much. But for someone who works in the medical field, I say that this equipment is an essential part of every clinic, no matter where you are, no matter who you cater to. 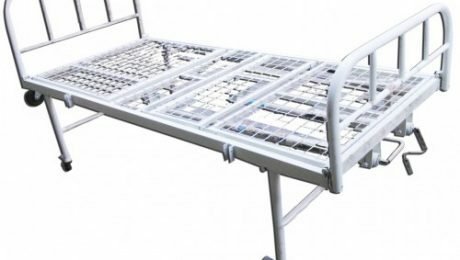 You may not want to resort to using it, but when worse turns worst, having the dreaded hospital bed is something to be grateful for. And what else should we be having in our school clinic? We know that school clinics cater to students’ and educators’ medical needs. And these groups of people have different needs in terms of health supplies and medications. So, health centers in schools should always be prepared with the appropriate medicines, supplies and equipment that each student and teacher will eventually need. School clinics must always be prepared for the worst case health scenario, because they are placed there to help. Although this rarely happens, having a complete clinic and adept caregivers during the worst medical situation can definitely save lives. Digital BP Omron and other gadgets for vital signs monitoring. 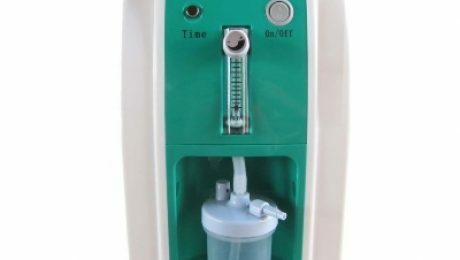 Nebulizer and nebulizing kits for asthma, which is prevalent in pediatric patients. Oxygen tank and regulator in serious cases of difficulty of breathing. Intravenous set, tourniquet, and IV tubings when establishing an IV line is necessary. 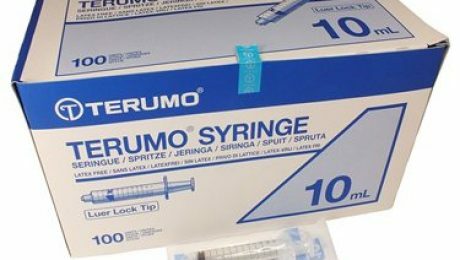 Terumo syringe disposable and needles of all sizes for administration of medicine. Suturing and dissecting set for serious injuries that need to be stitched. Aside from having these supplies on hand, the clinic should be strategically set up for the convenience of the medical practitioner and the patients. And to make the health center as cozy and warm as possible, bright cheerful colors should adorn the walls, not too much though because it becomes stuffy and will soon look like clutter. Having all these ready whenever patients come in is always something to be thankful for. One more thing is to make sure that the medicines, supplies and equipment you have is the best there is. Get your supplies hassle-free from the best supplier today, Philippine Medical Supplies. Visit them now.